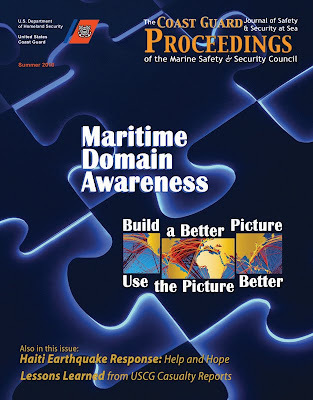 The current edition of Proceedings (Summer 2010 – Maritime Domain Awareness) is available online at http://www.uscg.mil/proceedings/. 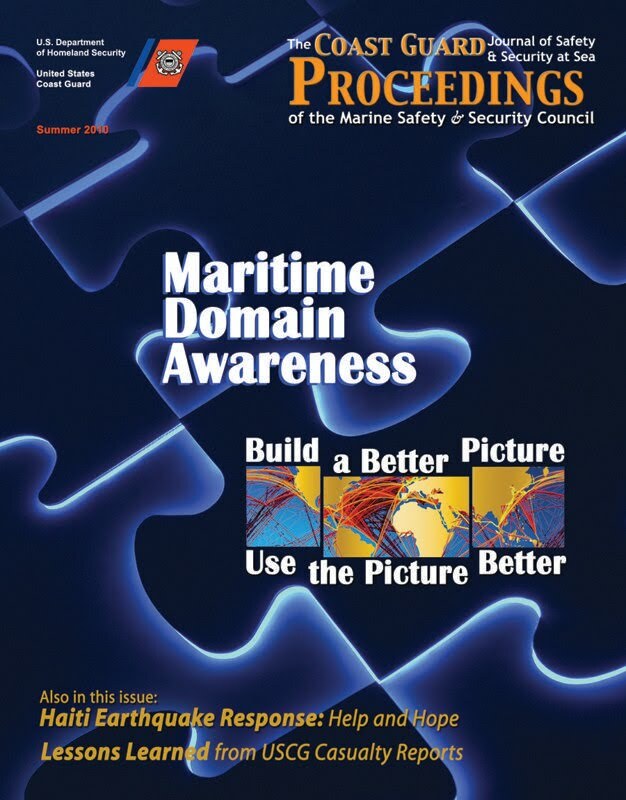 This “Maritime Domain Awareness” issue features efforts by the U.S. Coast Guard and our interagency partners to transform MDA through a whole-of-government approach to policy, capability, and technology. It emphasizes why maritime domain awareness is essential to all we do and demonstrates why improving MDA needs to be a shared, ongoing responsibility. The issue also includes a special section of 12 articles highlighting the USCG Haiti earthquake response.